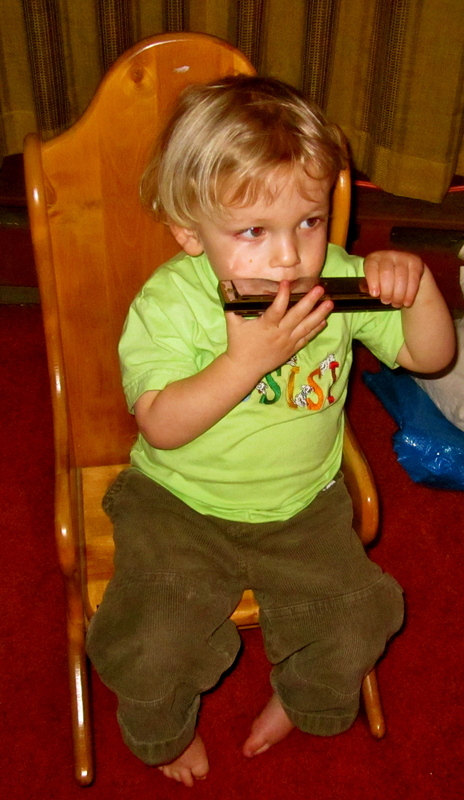 It’s been really fun observing Levi’s fascination with the harmonica. I guess he’s been playing for about 2 months or so. It’s the perfect instrument for a toddler really as all you need to do is breathe in and out to create a melody. I usually play “Oh Susanna” before I hand it over to him. When the day comes that he can play it back to me, my work will be done and Amanda and I can retire to the Bahamas.